Same Day Service: Same Day Service - Your laser engraved imprint lights up when the charging cable is in use. 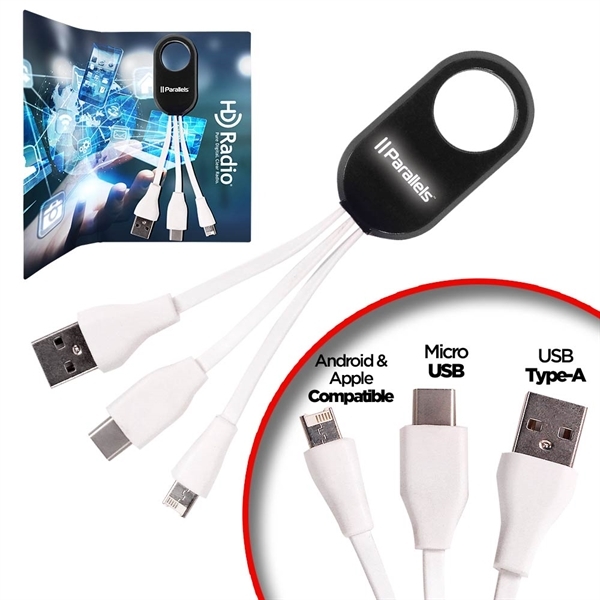 The cord charges from USB adapter to charge devices using Type-A , Micro USB, and Type C connections. Also features a dual-function Apple-compatible & Android charger. Size: 1 " x 5 "